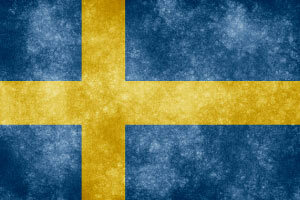 Learn the basics of the Swedish language. Swedish is spoken by over 10 million people in Sweden and is mutually intelligible in neighbouring countries such as Finland, Norway and Denmark. The Swedish language is a descendent of Old Norse which was the common language of people living in Scandinavia during the 8th to 11th centuries known as the Viking Era. Swedish has a proud tradition in literature and the arts, and today Sweden has a thriving modern economy with important trade links throughout Europe. In this Swedish language course, you will learn the basics of Swedish grammar and be introduced to word order in sentences, verb formation, and the use of nouns, pronouns and adjectives. You will also learn important pronunciation skills and build your knowledge of vocabulary. This will be of interest to all business professionals who are conducting business in Sweden or other Scandinavian countries and who feel they would benefit by learning the basics of the Swedish language, and to all learners who would like a greater understanding of this important Northern European language. After completing this course you will be able to: - Display proper use of nouns; - Practise pronunciation skills; - Display proper use of pronouns; - Understand word order in sentences; - Display proper use of adjectives; - and identify Swedish vocabulary.